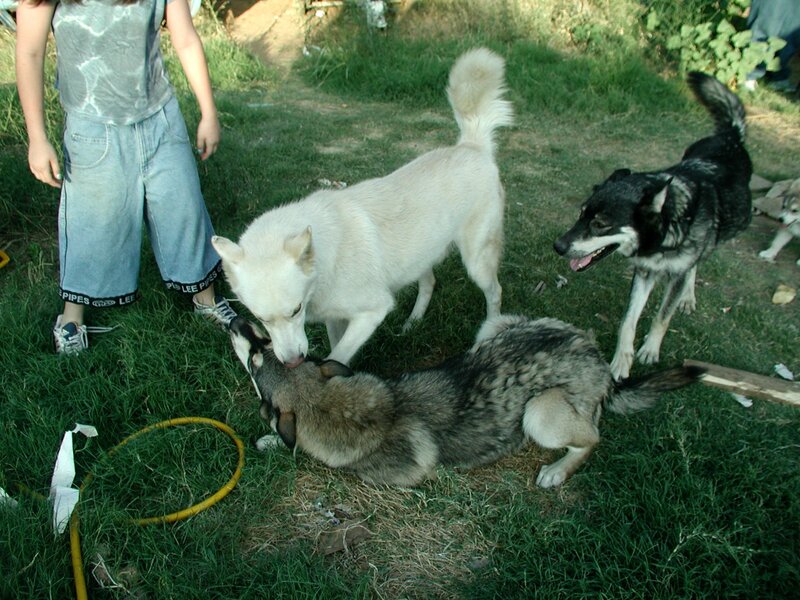 These two pictures are examples of the Alpha-Beta status among wolf and wolfdog packs. 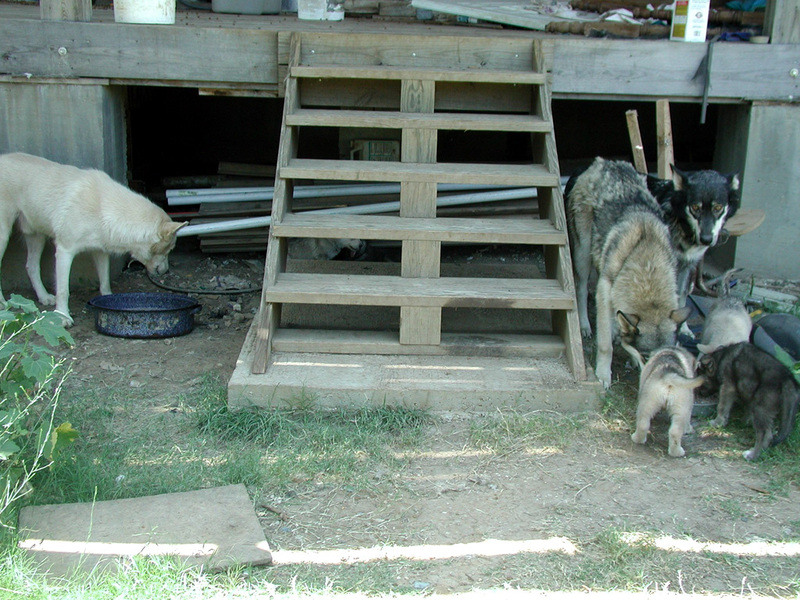 In the first picture Percilla is keeping Mystic at bay while the pups eat. 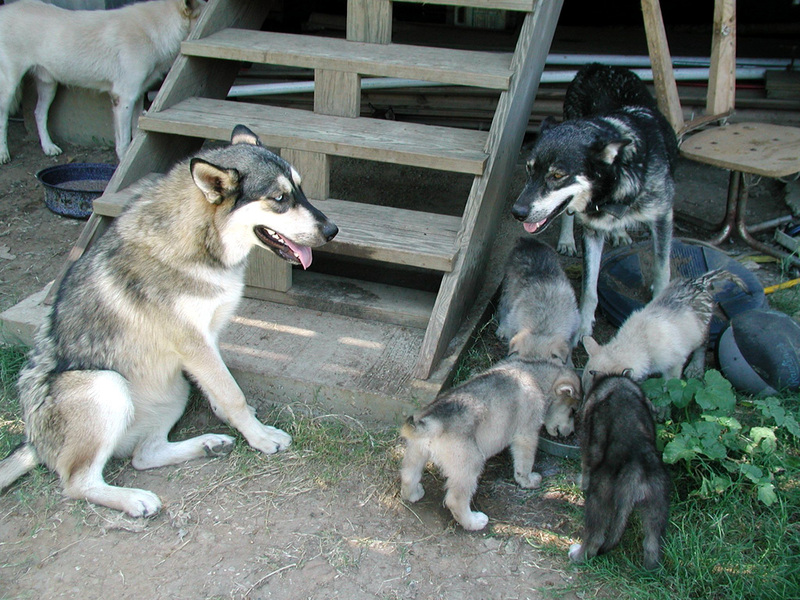 In the second picture you notice that none of the other wolfdogs or pups are around Cloud. They attempted to eat with him but he made it known that they were to wait till he was finished. 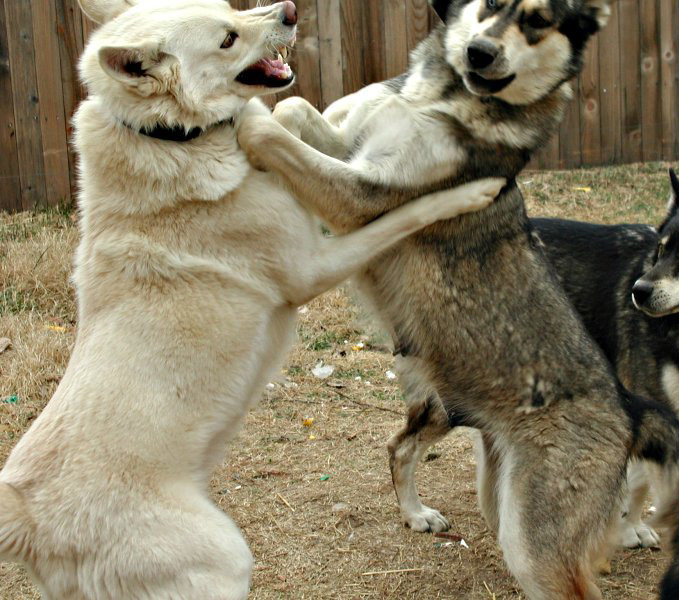 The above picture (Cloud and Mystic) shows two of our adult wolfdogs at play. Cloud looks rather vicious baring his teeth!